It's now officially winter in Australia and yesterday our weather definitely showed it. Our Autumn days have been almost spring like with warm temperatures and fresh nights but now? Winter has definitely arrived. When it's cold, I'm colder so I tend to only want to eat hot foods - soups, oatmeal, anything that will warm me up from the inside out. This was one of my random creations on a night where I was feeling super cold and I've been making it again and again ever since. I used to loathe mushrooms when I was a kid, but now they're something I crave. Jesse thinks it's hilarious because he'll sometimes find me in the kitchen, hovering over the oven, waiting for mushrooms to finish roasting so I can devour them... but truth be known, only half of said mushrooms actually make it out of the oven for more than 2 seconds because I tend to eat them straight off the tray (guilty as charged). This recipe is totally adaptable to your tastes - I love garlic and herbs so I like to add in lots of both but you might prefer simply using roasted mushrooms with olive oil - use the recipe as a guide, not a rulebook! I eat this as a meat free main, however, you can easily use it as a side dish for two! Mix together your mushrooms, garlic, herbs, seasonings and olive oil (if using) and place onto your baking sheet. Roast your mushrooms until soft and flavoursome and remove from the oven. 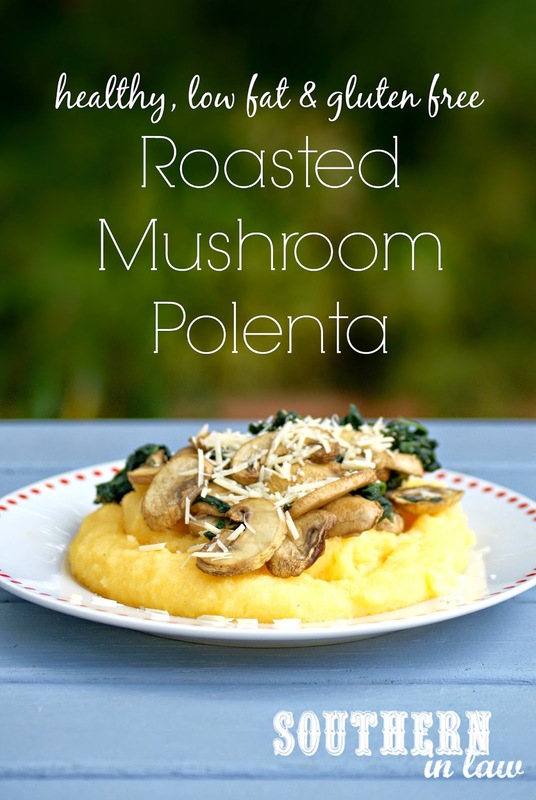 Just before your mushrooms have finished cooking, cook your polenta in a small saucepan over medium heat (I tend to use about a cup of water, cooking and stirring until the polenta reaches my desired consistency) and season to taste. 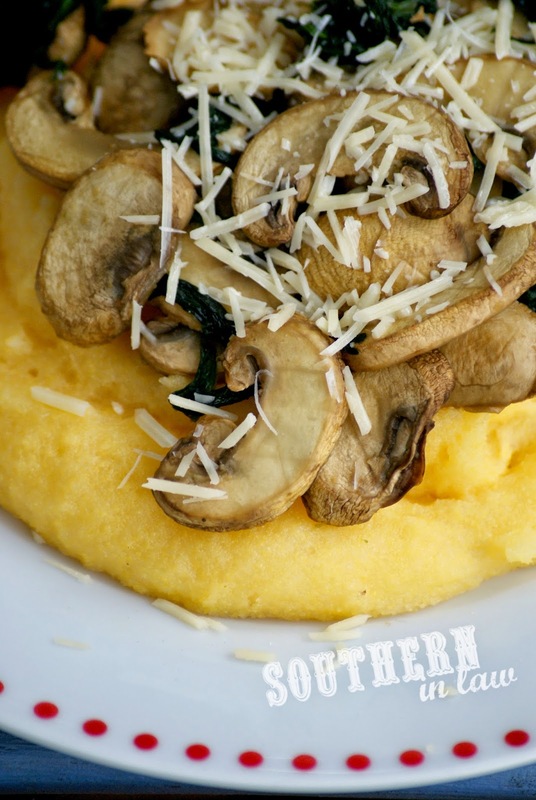 Pour your polenta onto your serving dish. In a small frypan or saucepan, melt your butter and add in your baby spinach leaves and roasted mushrooms and stir over a medium-high heat until your spinach leaves are melted. 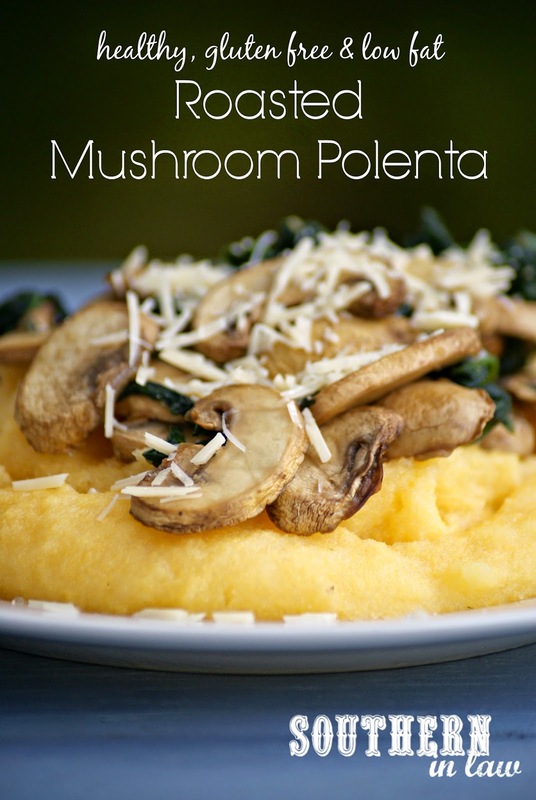 Add additional seasonings if desired and pour your mushroom mixture on top of your polenta. Top with parmesan cheese and serve immediately! *I can't eat olive oil so I leave this out and have had no problems whatsoever! It's up to you whether you want to use it or not. But tell me, what's a food you once hated but now love? And what are your favourite winter meals? This looks so delicious! Can't wait to try it!! It certainly is delicious! Let me know what you think!